Telework and remote work will always be with us in some form or another, said Jim Reidy, an attorney and chair of the Labor and Employment Law Group at Sheehan Phinney in Manchester, N.H. Employers, he said, need to find the right jobs, the right employees and the right circumstances to make telework arrangements work for all concerned. Reidy spoke March 15 at a packed session at the Society for Human Resource Management’s 2016 Employment Law & Legislative Conference in Washington, D.C. Through a series of questions, quizzes and statistics, Reidy told attendees that although telecommuting is on the rise nationwide, HR professionals must be aware of the potential legal pitfalls. Those include wage and hour fraud, e-mail abuse, theft and misappropriation, invasion of privacy, social media issues, workplace accidents, and employer liability for misconduct. Making headlines last year, Yahoo, Hewlett-Packard, and Best Buy ended their telework arrangements, Reidy noted. He said the companies all had one thing in common: they were performing poorly. “Bringing everyone into the workplace is often a reaction to a decline in profits or the company’s failure to meet organizational goals,” he said. “A typical telecommuter is 49 years old, college-educated, a salaried, non-union employee in a management or professional role [who] earns at least $58,000 a year and works for a company with more than 100 employees,” Reidy said. The average teleworker works remotely two to three days per week. Regular telework has increased 103 percent since 2005. If workers “with compatible jobs and a desire to work from home did so just half the time, the national savings would total more than $700 billion a year,” Reidy said. In breaking down that savings, he said, a typical business would save $11,000 per person per year and telecommuters would personally save between $2,000 and $7,000 a year. “With each technology advance and practice related to remote access, there are benefits and potential pitfalls,” Reidy said. Easy access to employer information and often uncomplicated integration with the organization whether using laptops, smartphones, videoconferencing or other devices. Employers can audit expenses and hours worked, and it may be relatively safe if workers are working in their own homes. Issues with compatibility, firewalls, viruses, spam, etc., may arise. “There are also concerns about theft, and other improper uses of employer systems and information,” Reidy said. Employers may have to pay all or part of an employee’s personal cell phone; “special issues may also arise as to employer monitoring or access to content of that phone’s activities during and after employment,” he said. Since teleworkers tend to work more hours, he said, employers may have to closely monitor how long employees are working. Employers also should monitor the security and usage of surrounding equipment and be award of the potential for misuse of company equipment. They may also need to purchase or upgrade video conference technology, he said. Employees may need to give evidence of extra hours worked; there may also be issues with compensation exposure and invasion of privacy. Possible damage from misuse of work equipment. Excess cost for data and roaming charges. Reidy told attendees that HR professionals are in a position to help ensure that working remotely is successful. Provide suitable training and technology, including collaboration methods. Train managers and supervisors on working with remote employees. Establish regular times for discussion and brainstorming sessions. Set expectations for workers’ schedules and availability. Monitor schedules and time keeping. Schedule the employee for regular visits to the workplace. Find other ways to have informal interactions (such as wishing someone happy birthday). Only select workers who are disciplined self-starters. Evaluate the telework arrangement at least once a year and analyze the experience, results and costs. Acknowledge that technology and circumstances will change. Be prepared to revisit and change the arrangement. “Your telework agreements should be longer than one year and reserve the right to call that person back” in to work in the office, he said. The terms of the arrangement, with recommendations for a one-year term with flexibility. Cross references to important company policies, for example, technology use, software licenses, confidentiality, monitoring and professional conduct. What equipment to use and how much it will cost. Safety hazards and reporting obligations. Limitations on work equipment use and activities. Modifications and a termination clause. Reidy said that “if current trends continue, telework remote access in 2030 will likely involve a blend of traditional workplace culture and even better technology. 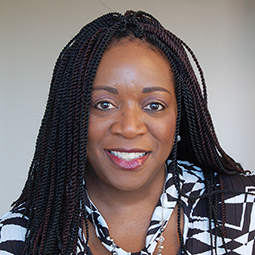 Aliah D. Wright is an editor/manager for SHRM Online.